I am by nature a fan of musicals. I grew up on a steady diet of MGM classics and RKO backstage shows. In the 1960s, despite the collapse of the studio system, four big musicals won the Academy Award for Best Picture. Living on the left coast, my chances of seeing a stage musical would be limited to High School productions, traveling versions of the play or the movie version when it finally arrived. I had heard of 1776 but never saw a stage version. The first time I saw this film was on my SelectTV channel, an over the air subscription service in the L.A. area that predated widespread cable availability. I was not particularly impressed and I did not think about it again until sometime in the early part of the new millennia when a director’s cut was available. I did see that and I liked the film more but it did seem to be quite long. So it was with some trepidation that I chose this film to see in the Chinese Theater IMAX screening. Malcom X was my alternative and Spike Lee was going to be there but there is not enough singing and dancing in it for a Saturday Afternoon. Once again, B en Mankiewicz was the host and he introduced two of the stars of the film and the Tony Award winning director of the movie. 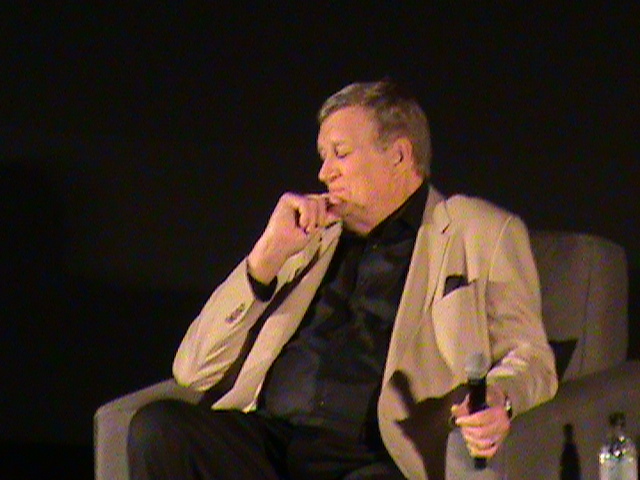 Ken Howard played Thomas Jefferson in the film and it was his 71st birthday on the day of the screening. Our host waved to the wings and a cake with lighted candles was produced and the near capacity crowd joined in a chorus of “Happy Birthday”. Unfortunately there was not enough cake for all of us. William Daniels who is basically the lead in the play as John Adams, was also present. It was interesting to note that he is a former president of the Screen Actors Guild and that Howard is the current President of S AG. I suppose after being in this film and play, politics was in their blood. They were friendly and recalled stories of being cast in the original play on Broadway. 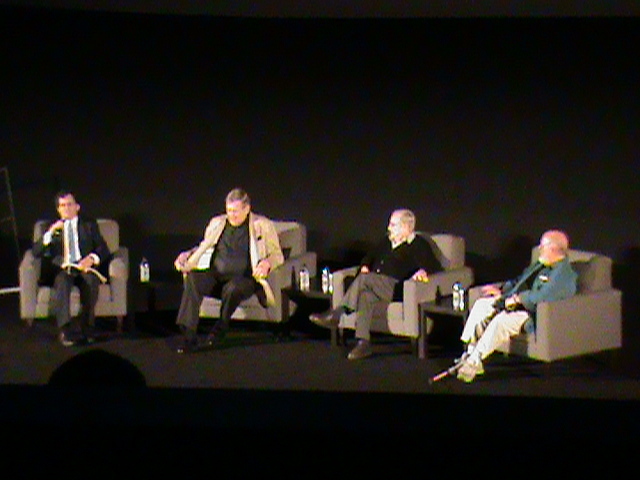 There is an apocryphal story of the screening of the film for President Nixon. The director claims that Nixon loved the film but did not really like one number, “Cool Considerate Men” and recommended to producer Jack Warner that it be cut. 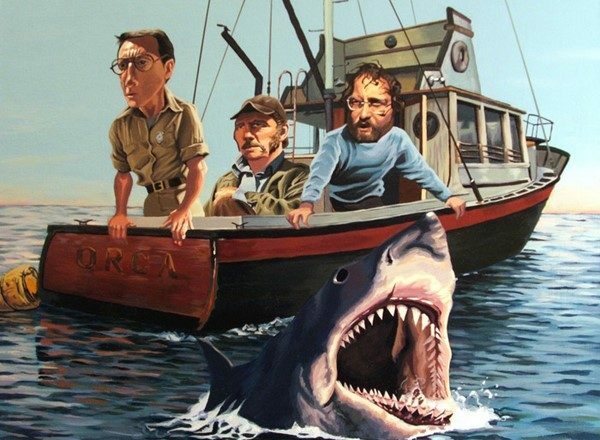 It subsequently was and that accounts for the abbreviated version that stood as the theatrical release and the eventual original home video version. This presentation is tied in with a soon to be available Blu-ray release of that directors cut of the movie. The film is beloved by many in the crowd. 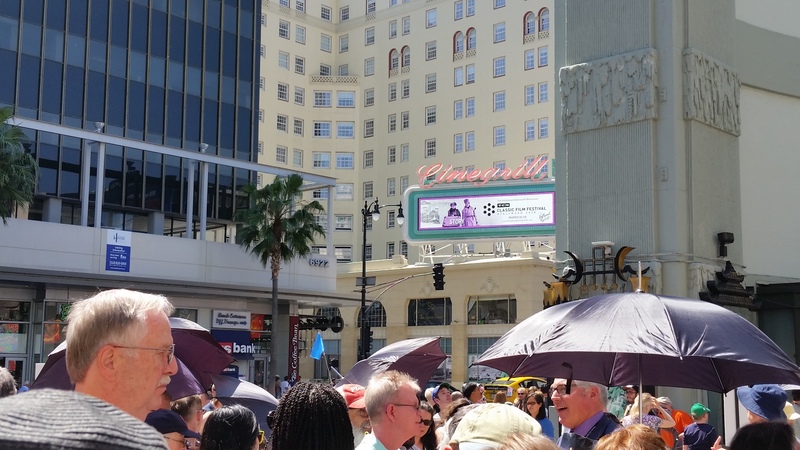 This was maybe the hottest day at the Festival, and the theater was quite pleasant after standing in the queue on front of the Chinese Theater. While waiting in line I spoke with one woman who was very much looking forward to this screening and another man turned around and was quite excited about the event. This was a day that I’m sure patrons regret that the stand alone box office and canopy were missing from the forecourt of the theater. The staff of the Theater were passing out umbrellas to protect the crowd from the brutality of the sun. Unfortunately the woman I spoke to was more brutal than the sun. When I mentioned that I was looking forward to seeing “Nightmare Alley” the next morning, she dismissed it with a comment about how much better the book was and she rolled her eyes at my admiring Tyronne Power in the lead role, ouch. 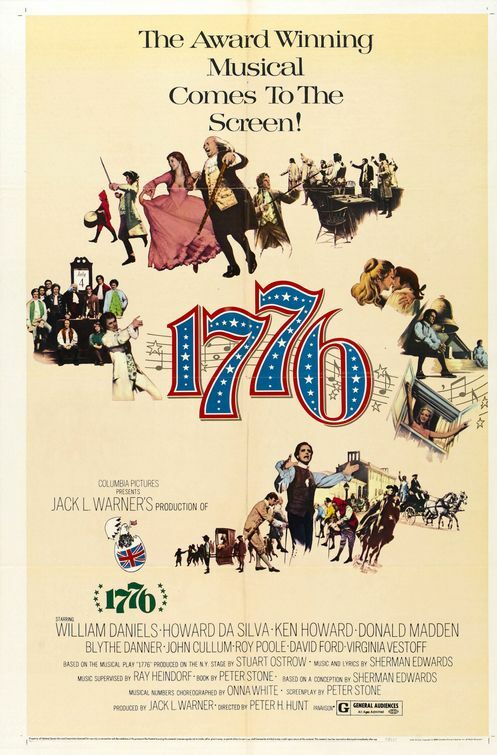 “1776” played well on the big screen but it still felt drawn out at times. The music is tuneful but none of it is particularly catchy, and the lyrics are often more focused on character development than plot. “He Plays the Violin” and “Molasses to Rum” are the exceptions, they are not show stoppers but they do add humor and drama respectively. The climax of the film which mimics John Trumbull’s painting of “the Presentation of the Declaration of Independence” has a fitting counterpoint score and will leave anyone with some patriotism in their heart with a lump in their throat.